I first discovered Dean Potter when watching the film Masters of Stone V; I was instantly in awe of his climbing ability. There was something about Dean that made him stick out from all the other climbers in the film, I think it was his calm persona and his togetherness with nature. For those who aren’t familiar with Dean, he was a free solo climber, line walker, BASE jumper, and Freebaser, who for the past 30 years pushed the limits of adventure sports like know one had before. Dean completed a variety of extreme slackline crossings without the aid of any safety equipment such as, harness, BASE-jumping parachute, or a safety lanyard. Some of the crossings in the Yosemite National Park California the lines were suspended over 900meters above the ground! When it came to free solo climbing (this is ascending the face of a rock wall with no harness) Dean was in a class of his own. He climbed many new routes that had never been done before such as a part of El Capitan in Yosemite which had never been free soloed; where he pioneered a route he called “Easy Rider”, this section had moves graded at 5.10a, which is rated as one of the hardest climbs in the world (one of the hardest climb’s in the world with a harness on, Dean did it without a harness). Dean played a big part in the rise of the sport of BASE jumping, which is a sport that grew out of Skydiving. BASE stands for building, antenna, span (architecture), and Earth (cliff) to be recognised as a BASE jumper, the person must have jumped from all four of these objects. Through his free solo and BASE jumping Dean had created his own sport he called Freebase, this is where he would free solo a cliff face or object with a parachute on his back and then jump and release the parachute. On the 16th of May 2015 Dean and his friend Graham Hunt were attempting a wingsuit BASE jump from Taft Point above the Yosemite Valley. As they were flying and manoeuvring through the cliffs they collided with the rocks. In a search for the two men a helicopter discovered their bodies. Neither of them had deployed their parachute. Dean’s memory will live on in the climbing and BASE jumping community, his spirit will live on in the Yosemite Valley forever. Dean died doing what he loved most, flying. In a report published by the Australian Sports Commission (ASC) in 2014 it found that out of all the sport televised in Australia only 7% of it is female sports. 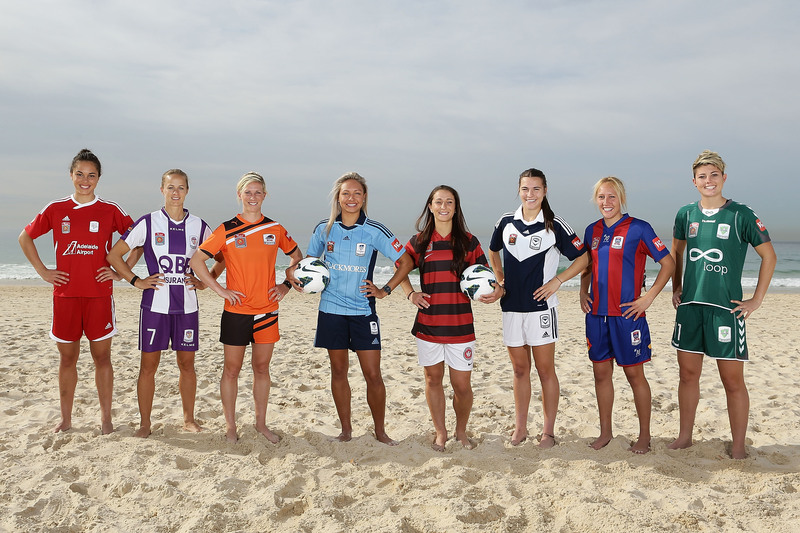 This is even a backwards step from a decade ago, when ASC reported that women’s sport in Australia made up just 11%. To put this in to perspective a bit, horseracing last year received more television air time than women’s sport. It can’t be said that there wouldn’t be enough interest in women’s sport and it wouldn’t be viable or profitable enough in the long run for the commercial stations to run more. In Australia we love to watch our sport and get behind any professional sports team or individual whether its men’s or women. We also love to jump on the band wagon when one of our nations teams are doing well, and over the past decade our women’s cricket, soccer, and basketball teams have been doing a heck of a lot better than our blokes teams, yet hardly anyone knows because our TV stations fail to broadcast them. I personally think that some of the greatest Australian sporting moments were made by women, such as Cathy Freeman’s 400m Gold at Sydney 2000, Anna Meares’s comeback from a broken neck in 2008 to win the Gold at the London Olympics, the Hockeyroos Gold medal at Sydney 2000, and Torah Bright’s Gold medal in the half pipe at the Winter Olympics. Television is meant to shape and reflect the attitudes of our society. The way in which Australian television fails to cover women’s sport affects the way in which female athletes are perceived and sadly also tells us something about the status of women in our society. The ASC report did recommend that simply securing mainstream coverage isn’t the solution. It says that for women sport to be commercially viable, it would need to create a larger mass of dedicated and passionate women’s sports fans. Canberra Capitals coach Carrie Graf said “it takes courageous executives in the media to get behind women’s sport and promote the fact that it’s about equal opportunity”. Graf also labelled the lack of coverage of Australian women’s sport as a “Tragedy”. For sports lovers like me unfortunately this problem is going to take quite a while to fix, however there haven’t been any examples to prove that women’s sport can’t be as commercially viable and as popular as men’s sport. 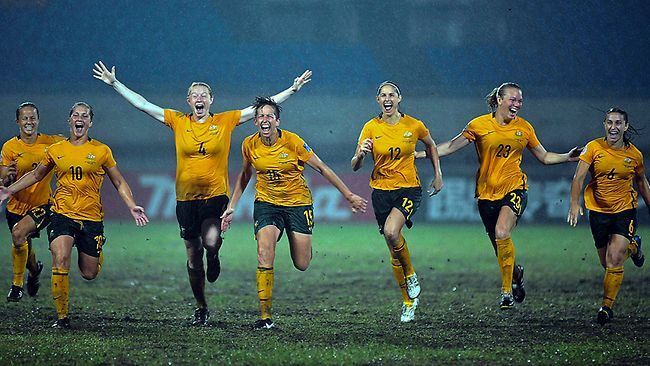 All of our Aussie sports stars regardless of their gender should be recognised for their talents and abilities. Please click to Follow my Blog. If you liked reading my blog please click the follow button, and I will keep you updated with my future post.